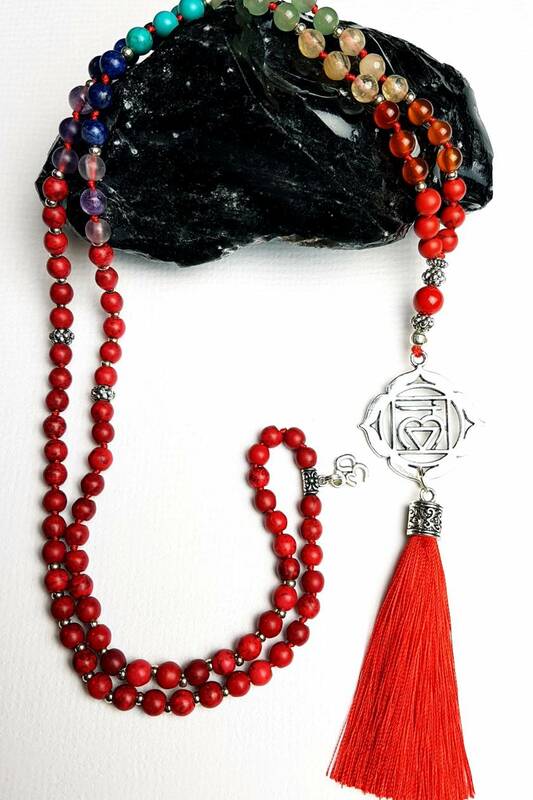 This unique piece is made up of red howlite, carnelian, citrine, aventurine, blue howlite, lapiz lazuli and purple flourite. 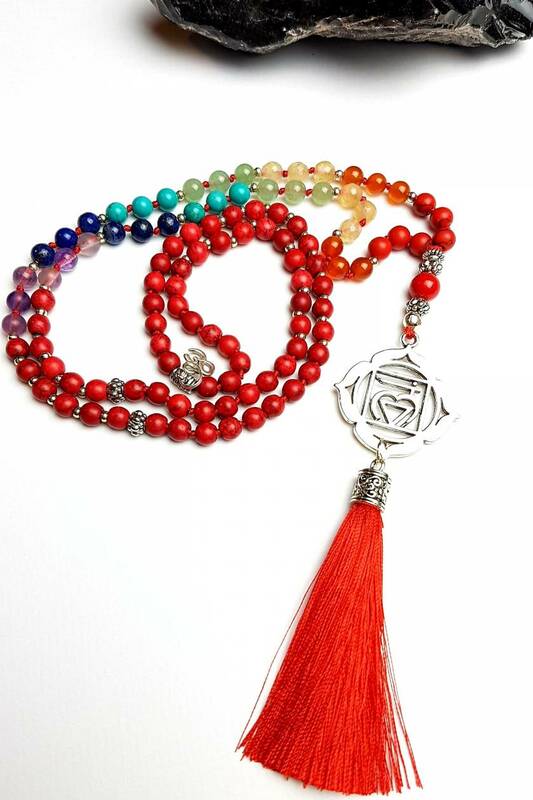 The 6mm beads are partially hand knotted on red nylon knotting thread. 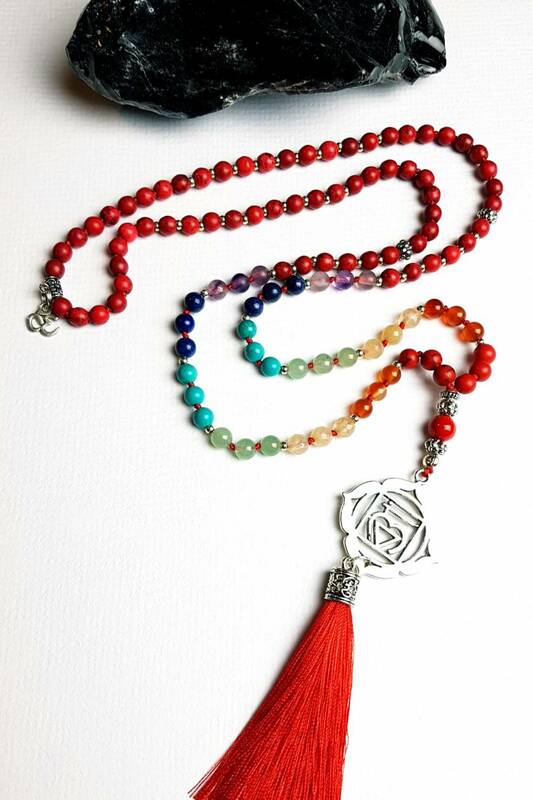 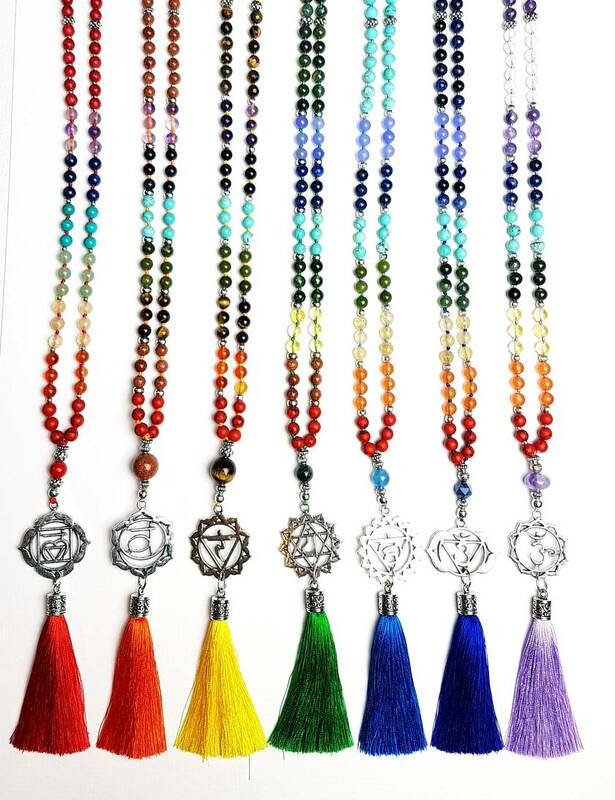 The root chakra symbol, silver tone findings and a lovely bright red tassel finish off this beautiful design.